Tetris gets into the battle royale genre with the surprising release of Tetris 99, a game that will see you test your block-organising skills against 98 other players in order to be the last one standing. No, this isn’t a joke. In fact, it actually sounds pretty interesting. 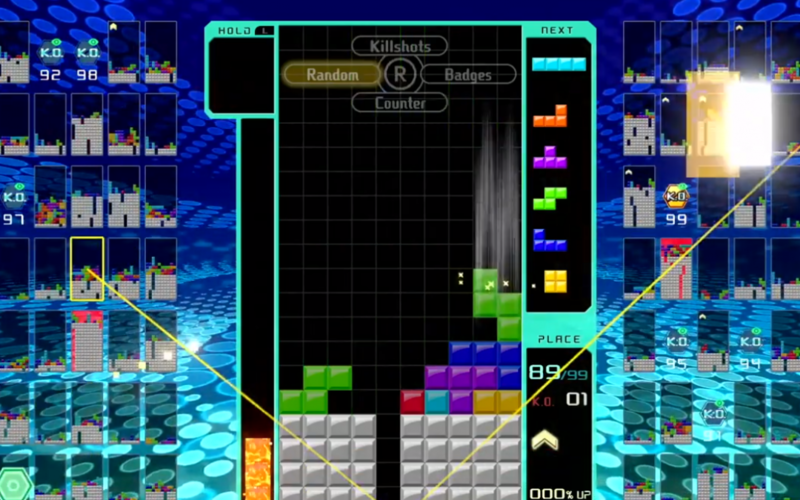 Tetris 99 features 99 players competing in what is essentially a single game of Tetris. While your own game of Tetris will take up the majority of the screen, you’ll be able to see other people’s games (which are being played at the same time as yours) in the background. The competitive elements of the game come in when you start to complete lines. As you do, you’ll fill other players screens with blacks that will make it more difficult for them to progress. It probably all sounds a little crazy, but it actually makes quite a bit of sense when you look at how previous competitive Tetris modes have worked. Actually, this is essentially old school competitive Tetris on a grand scale. The addition of so many other players (and the promise of special events to come down the line) certainly adds a twist to the formula, but this is basically just the Tetris you love with an interesting twist. Best of all, Tetris 99 is available starting today and is free for all Nintendo Switch Online subscribers. While that isn’t the Super Nintendo games on Nintendo Switch Online announcement that we’ve been hoping for, it’s certainly a nice surprise for anyone who is a member of the service. It’s actually been quite the week for surprise battle royale titles between Tetris 99 and the hugely popular Apex Legends. We don’t know if either game (especially Tetris 99) is going to surpass Fortnite in the long run, but it’s clear there’s a lot of life left in this genre. You can play Tetris 99 now, if you’re a Nintendo Switch Online member, as its surprise release took place on February 13th. Have fun!